Offers you an understanding on when & where exactly your vehicle’s ignition was switched on/off. Spatial view now available on Overspeed report too..
Two more fields added to Staff Time Sheet report – Location & Pick up/Drop off. Revamped scheduled trip report; now offers scheduled & actual arrival/departure times on waypoints too. 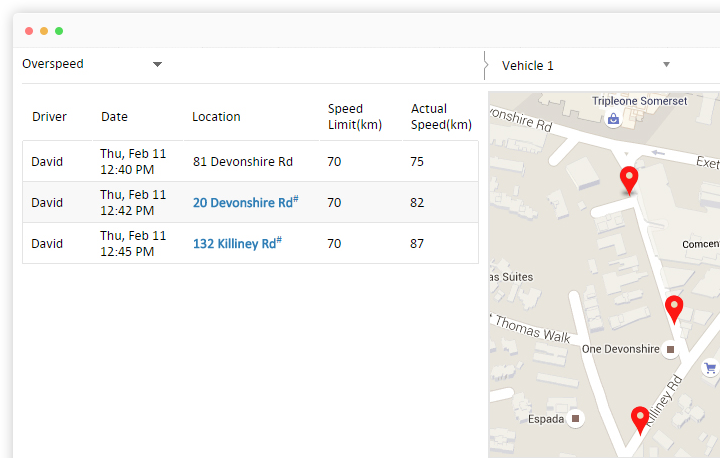 User can now set a speed limit to rate driver’s performance in driver scorecard. Lists all upcoming renewals that make it easy for partners to get renewals done on time. 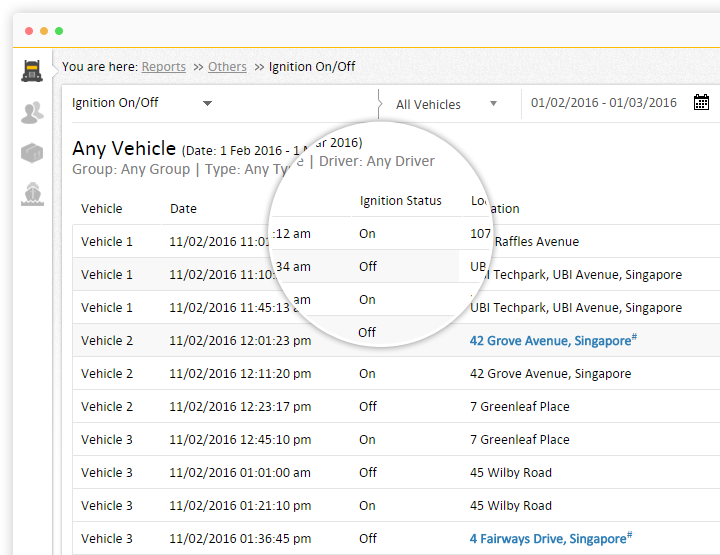 Perform IO Mapping for newly added vehicles – Set & configure digital/analog ports and add/modify analog formula per vehicle. Stage records (vehicle snapshot based on IMEI no for a specific date) for immediate troubleshooting.